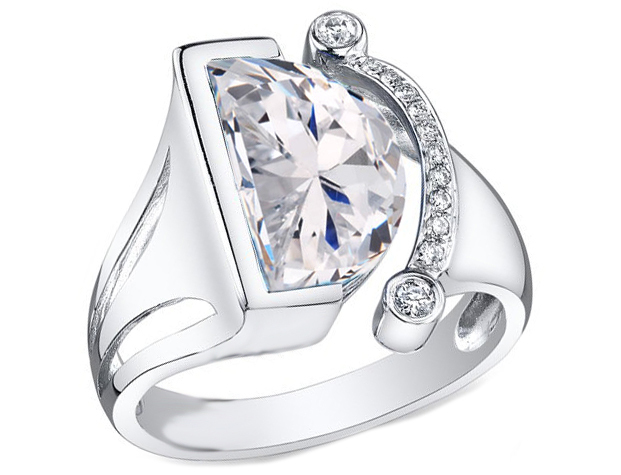 Half Moon Diamond Engagement Ring in 14K White Gold. Custom made Half moon, my other half, from 1/2 carat and up center Half moon diamond. Please contact us for details.